Are you thinking about rebranding your business attire? The Windguard Mens Jacket is a great choice for any business, whether in the construction, retail, or trades industries. 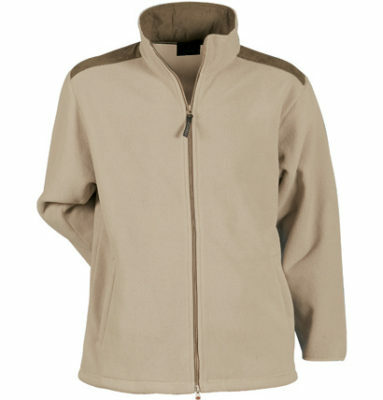 Made from 100% polyester polar fleece, these jackets are breathable, stylish and warm. Available in sizes from small through to 5XL, these jackets feature a back yoke, toggle at the hem, suede panels on the shoulders and inside collar, as well as full front zip and zippered side pockets. The Windguard Mens Jacket is available in three great colours to suit most business brandings – beige/camel, navy and black. With a great embroidered logo, the Windguard will help promote your brand where ever it is worn. Looking to outfit your entire team? The Windguard Jacket can be teamed up with the women’s jacket for a cohesive brand across your business. For a breathable, warm and wind cold proof jacket at an affordable price, the Windguard promotional jacket is a great option.